The development and application of a scientifically based method of selective breeding for needed traits in detector dogs has enabled the Australian Customs and Border Protection Service to overcome the severe limitations of the opportunistic method of obtaining detector dogs which had previously been used. 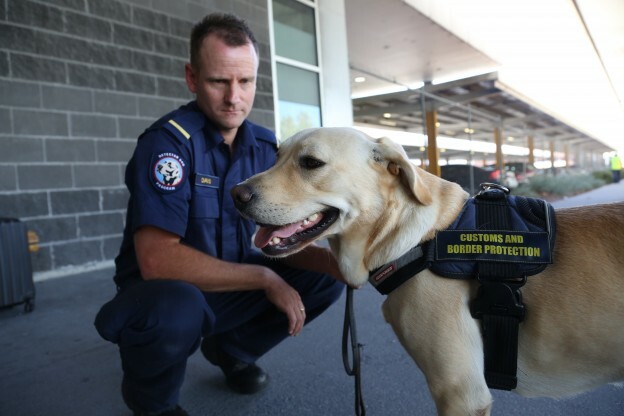 The success of the program has not only enabled Customs & Border Protection to make more extensive use of detector dogs in its operations, with associated benefits in terms of drug seizures in particular, but also delivered further national benefits from the provision of dogs to other Australian agencies and the capacity to supply both animals and expertise to counterpart agencies in a number of other countries. Customs & Border Protection began using detector dogs in 1969 and, in light of the support for use of detector dogs from the Australian Royal Commission of Inquiry into Drugs, Customs & Border Protection moved to establish a Detector Dog Training Centre in 1979, with dogs being recruited from a combination of commercial breeders, animal shelters and public donation. However, this approach did not provide a sound basis for supplying dogs suitable for training - the success rate was 1:1000 from the general population. In seeking to address this issue, the management of the Centre established that no breeding and development model existed anywhere in the world that would meet the key requirements of a guaranteed supply of dogs suited to detection work for known cost. The Centre established a collaborative research partnership with the Royal Guide Dogs Association and the Universityof Melbourne under which a doctoral investigation of genetic and environmental influences upon key detector dog traits was undertaken. A pilot breeding and development program for 54 dogs was undertaken by Customs & Border Protection as part of this research. Based on the outcome of the research program, notably the selection rates of 24% for dogs involved in the pilot program, Customs & Border Protection built the National Breeding & Development Centre (NBDC) for production of 40 dogs per year. The NBDC has built on its initial success, with over 1800 dogs having now been bred and retention rates for breeding / detector placement have increased to around 75%. The NBDC was also able to refine its developmental training to produce multi-response dogs for searching both cargo and people, which has led to greater levels of productivity and flexibility in deployment as the one detector dog can operate across the full array of border environments. The program has also been expanded from narcotics detection to encompass chemical precursors / explosives and firearms. The capability provided by the NBDC is not only utilised by Customs & Border Protection. 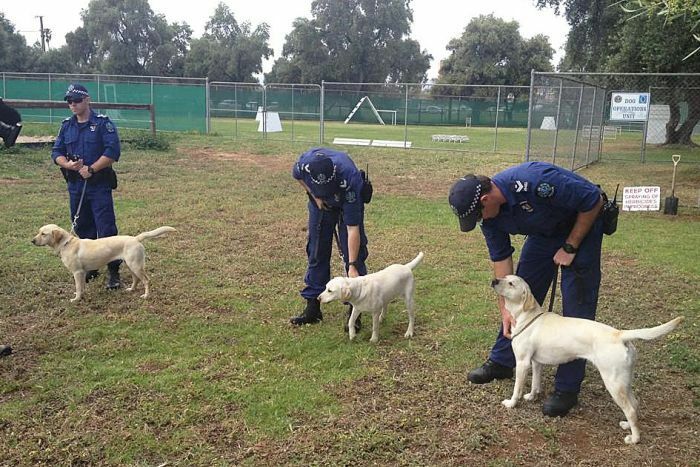 It played an important role in providing dogs for explosives detection at the Sydney Olympics and now provides dogs to the Australian Army, Royal Australian Air Force, Australian Federal Police, Australian Quarantine and Inspection Service, and State & Territory Police and correctional services. The innovative approach of the NBDC has also delivered foreign relations benefits to Australia. A recognised world class breeding and training program initially led to close cooperative links with a number of US Government agencies and the provision of both animals and genetic material. Similar cooperative links have since been developed with a range of other countries and detector dogs and puppies have now been supplied to China, Indonesia, Malaysia, Thailand, Japan and the Geneva International Centre for Humanitarian Demining. The NBDC continues to mentor the partner breeding colonies established abroad. Customs & Border Protection moved from an opportunistic method of obtaining detector dogs with a significant rejection rate to a scientifically based method of selective breeding for needed traits with a high success rate. The breeding program was adapted to move from narcotics detection to multi-purpose detection including firearms and explosives. Customs & Border Protection now has a world-class breeding & training program and has provided assistance to both domestic agencies and a number of overseas countries. Innovation prompted by a problem - an inadequate supply of appropriate dogs for training as Customs Detector Dogs required a new approach to be taken. Built on previous experience - Royal Guide Dogs Association of Australia guide dog breeding and rearing program and an earlier PhD study of behavioural characteristics provided a proven basis from which to work. 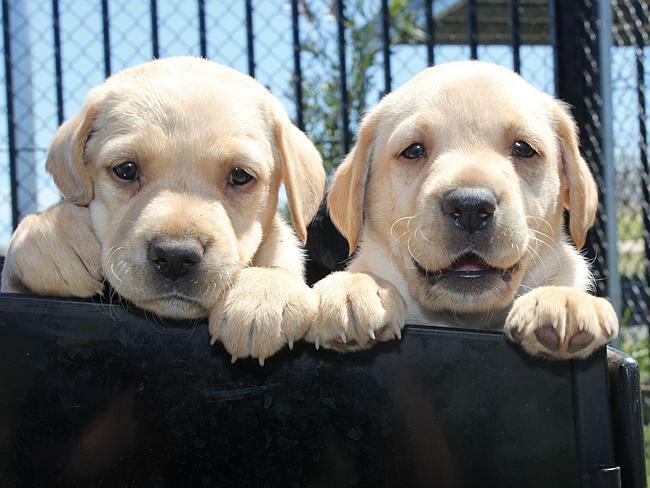 Fostered by established networks of cooperation - contacts between Customs & Border Protection, Royal Guide Dogs Association of Australia and University of Melbourne facilitated a cooperative and collaborative approach to evaluating the potential of selective breeding. Business case based on scientific evidence - PhD study by Kathryn Champness through University of Melbourne showed that desired traits could be enhanced through selective breeding. Importance of an innovation champion - John Vandeloo saw the need for more, and better, detector dogs and opportunity offered by a selective breeding program and pushed forward with the University of Melbourne trial despite some skepticism within Customs & Border Protection. Organisational responsiveness - once proven by the PhD study, Customs & Border Protection quickly supported full implementation of the selective breeding and puppy raising program at its National Breeding & Development Centre. Adaptation, improvement and building on success - in response to the changing security environment the breeding program was expanded to include firearms and explosives detection dogs. 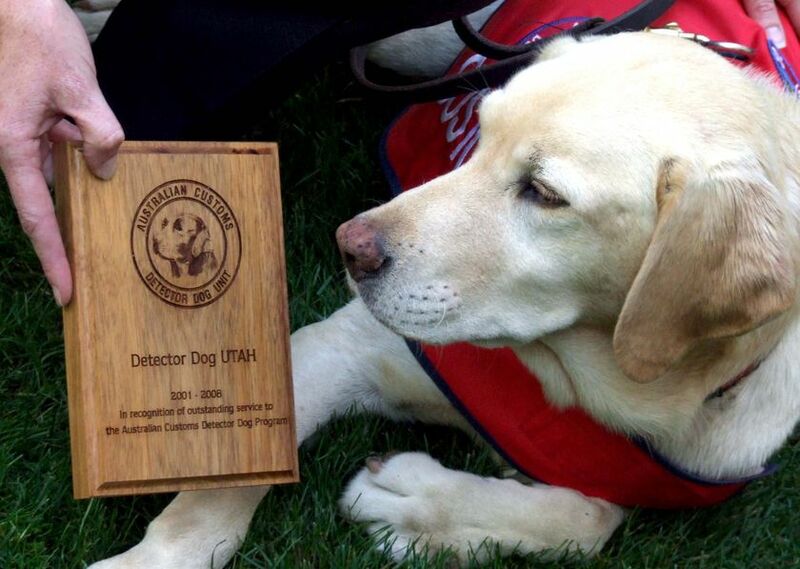 Detection capability was supported by a proficiency maintenance and competency program for both dogs and handlers. Leveraging comparative advantage - domestic and international recognition of the world-class breeding program and cooperation has strengthened domestic and overseas detector dog programs and brought broader strategic benefits to Australia. Recognition & rewards - the 1998 award of a Public Service Medal to John Vandeloo for his work with the detector dogs program provided high-level recognition and encouragement to John and his team. Please note: If you are interested in becoming a foster carer please complete the Foster carer application form (247KB PDF). Your application form can be mailed to: Australian Border Force Detector Dog Program - Foster Carer Program, 180 Loemans Road, Bulla Vic. 3428, or, send your enquiry to: fostercarers@border.gov.au or call 1800 664 106. The large Ergo automatic pet feeder reviews has the ability to hold up to 20 pounds of dry food. This automatic dog feeder has been designed to feed dogs that weigh more than 25 pounds in weight and can work with dry food pellets that are about 2.22 cm in diameter.